And chiseled like a rock as well. He would fit in with the Brewers team of OL for sure! Probably a bit bitter most of the gallery were surrounding and gravitating to whatever hole Tiger was at. I think CBS showed Brooks at 16 when Tiger was at 17 and the gallery for Brooks was so small you wouldnt have known the guy was a 2 time major winner and atop the leaderboard. Meanwhile Tiger's gallery loops deep around the green and extends all the way to the fairway. Good to see Brooks get it done again. Even better to see Woods not win. Shocking. A bunch of fair weather fans gathering up to watch him make a charge and fall short. Tiger is an all time great. But this is probably as close as he ever gets again. The field now is just way better overall than when Tiger was at his best. It's no different than Jordan being old and playing with Wizards and selling out arenas on the road. People want to see a legend play once more. And the fact Tiger turned back the clock 15 years the way he was playing. The field is maybe better but Tiger is still Tiger and he's as good as anyone in "the field". I don't see the reasoning behind saying "this is probably as close as he ever gets". He's finished near the top in the last 2 majors. He needs to win a tournament, any tournament, to break thru that wall. He still has a 10 or 15 year window to play winning golf in today's tour. I just wonder if he ever learns how to hit his driver straight. The field was the top 30 money winners and he whipped them easily. Very impressive. It's very impressive, particularly at his age. But it's not a major. Last edited by Carp; 09-24-2018 at 09:24 AM. Good article -Tiger has done what many of us thought he would never do again. So, what’s next? The fire hydrant, the 85 at Memorial, chip-yips, a DUI, hacked naked photos, shooting pains that brought him to his knees between the ropes, the layup on the 72nd hole at Valspar, the back-nine bogies at Carnoustie…you could see all of that in Tiger’s watery eyes. 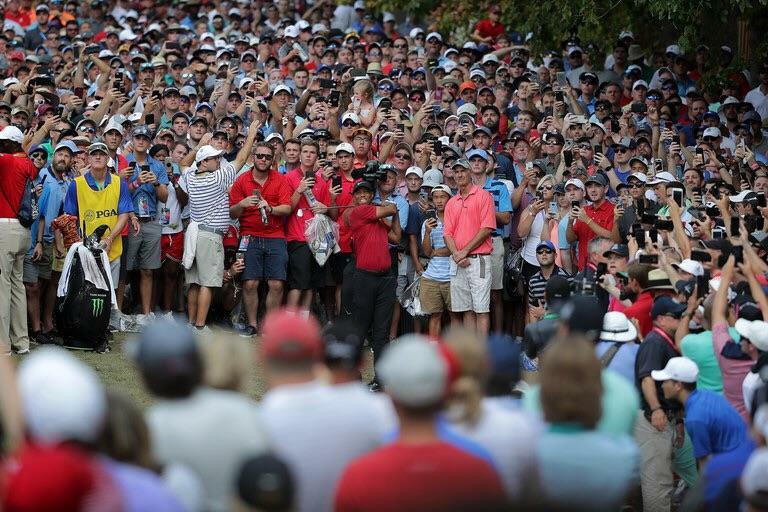 The fans were feeling it, too: The madcap scene at East Lake looked more like a religious revival than a golf tournament. Tiger is about to do this. Holy ****. He looks poised as ****. Everyone else looks scared. Young guys finally feeling what it was like to play 15 years ago. At the PGA last year, It was Tiger chasing Brooks who wouldn't give an inch. Now Tiger is relentless. Brooks was about to tee off and had to stop because of the Tiger Roar on the next hole over. One the best sporting events in the last 25 years. Amazing.